Today I came across a few articles online about a Canadian model who has Vitiligo – the skin disease that probably the late Michael Jackson suffered from. Vitiligo is a chronic skin disease where portions of the skin have white patches due to skin pigment loss, sort of like when someone suffers from 3-degree burns, but more pronounced. It occurs when skin pigment cells die or are unable to function. The cause is unknown but few theories range from autoimmunity, genetics to viral causes. There is no cure. 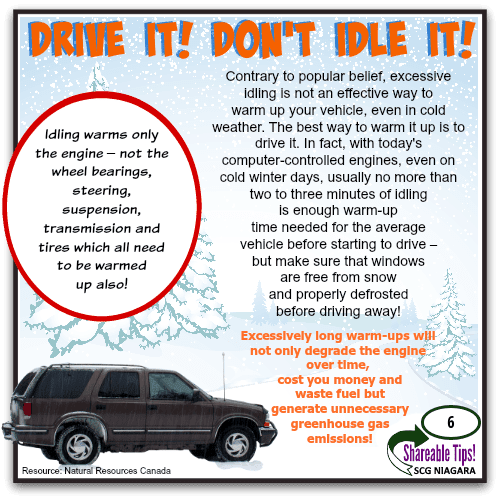 Labels: Etobicoke, LOCAL News, NEWS, Ontario, W.I.R.T. 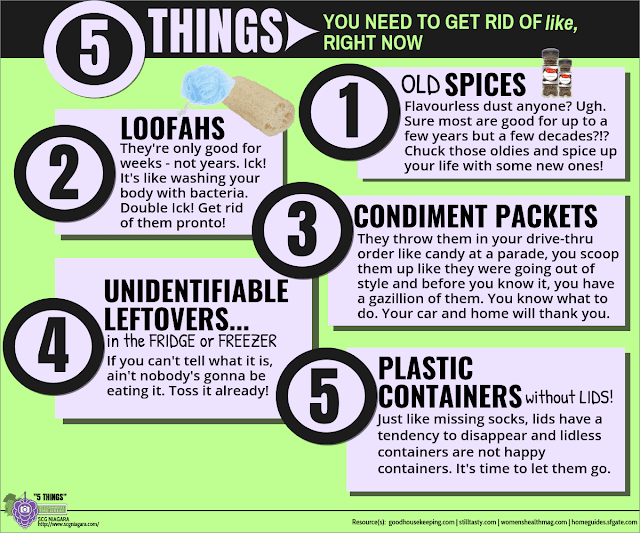 You’re not only saving time with this tip but calories! I’d say it’s a win-win situation! 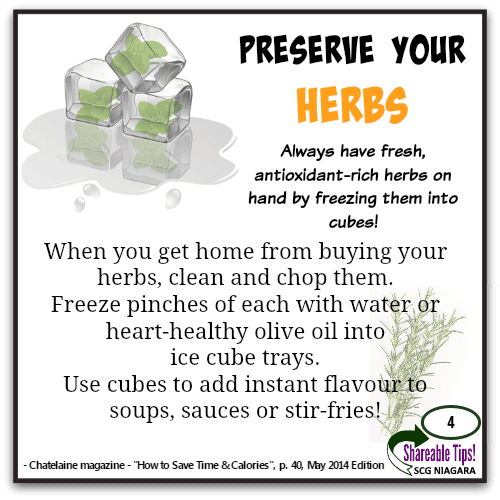 Always have fresh, antioxidant-rich herbs on hand by freezing them into cubes! When you get home from buying your herbs, clean and chop them. Freeze pinches of each with water or heart-healthy olive oil into ice cube trays. Use cubes to add instant flavour to soups, sauces or stir-fries! 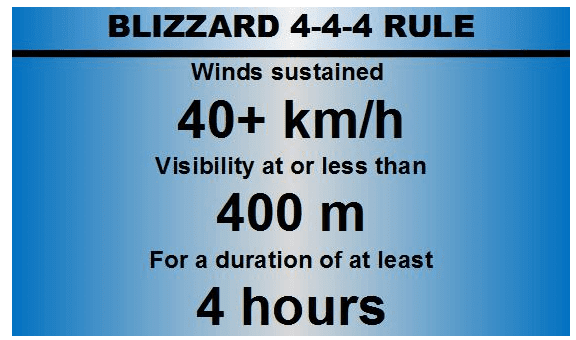 Winds must be sustained at 40 km/h or more for at least 4 hours combining with falling or blowing snow to cause visibilities to be reduced to 400 m or less. Hence the 4-4-4 rule. However, there is an exception: areas north of the treeline line in Canada have to have the same conditions but it must last at least six hours to be deemed a blizzard. Our definition of a blizzard differs from that of our neighbours to the South. 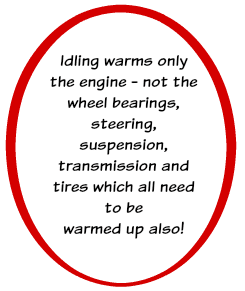 In the U.S., to be a blizzard, a snow storm must have sustained winds or frequent gusts that are greater than or equal to 56 km/h (35 mph) with blowing or drifting snow which reduces visibility to 400 m or 0.25 mile or less and must last for a prolonged period of time—typically three hours or more. The deadliest blizzard in recorded history? It was the 1972 Iran Blizzard, which caused approximately 4,000 deaths. 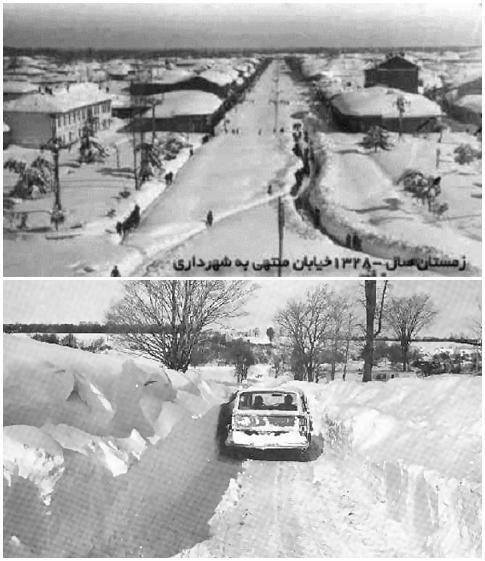 It dropped as much as 26 feet (7.9 m) of snow – that’s like a two and half story building worth of snowfall, and completely covered 200 villages. After a snowfall lasting nearly a week, an area the size of Wisconsin was entirely buried in snow. 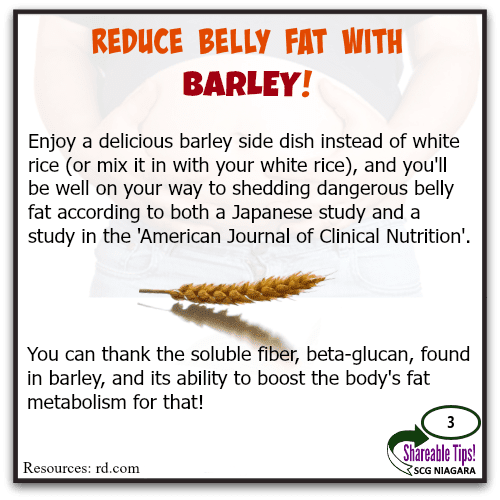 SHAREABLE Tip #3 – BEAT BELLY FAT WITH BARLEY! Try some barley for your belly, baby! REDUCE BELLY FAT WITH BARLEY! Enjoy a delicious barley side dish instead of white rice (or mix it in with your white rice), and you’ll be well on your way to shedding dangerous belly fat according to both a Japanese study and a study in the ‘American Journal of Clinical Nutrition’. You can thank the soluble fiber, beta-glucan, found in barley, and its ability to boost the body’s fat metabolism for that!